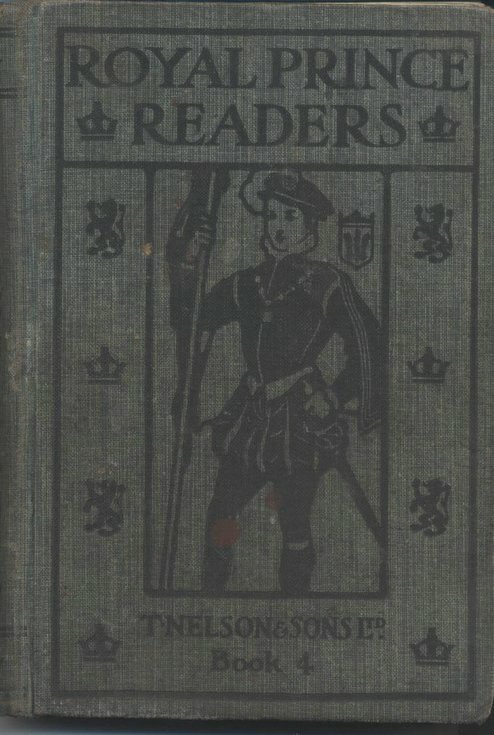 Scanned image of the cover of a Skibo School Royal Prince Readers, 4th Book in blue cover. An example of school's reading scheme. This book covers Scottish history.